Comedy Night starring Talia Reese. 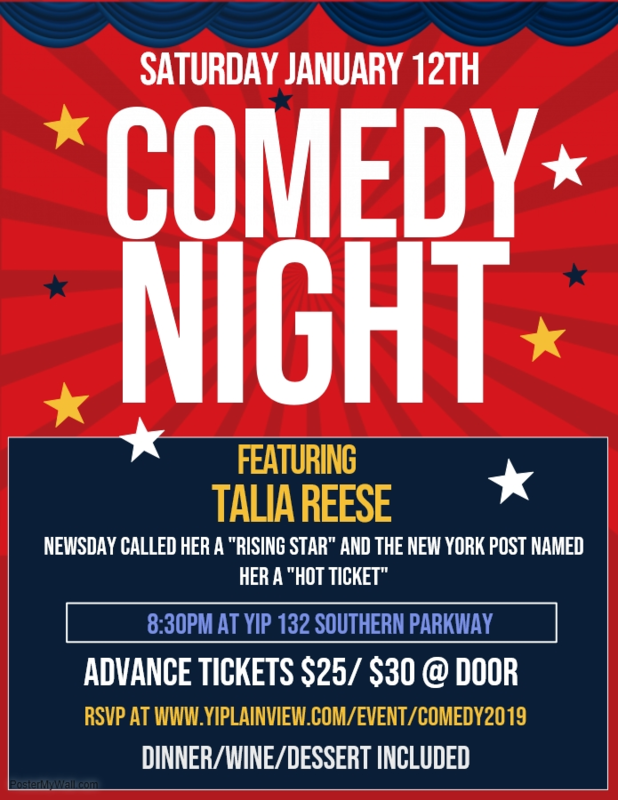 http://www.taliareese.com/ Newsday called her a “Rising Star” and the New York Post named her a “Hot Ticket” Cost: $25 pp in advance $30pp at the door. Full Dinner and Dessert.